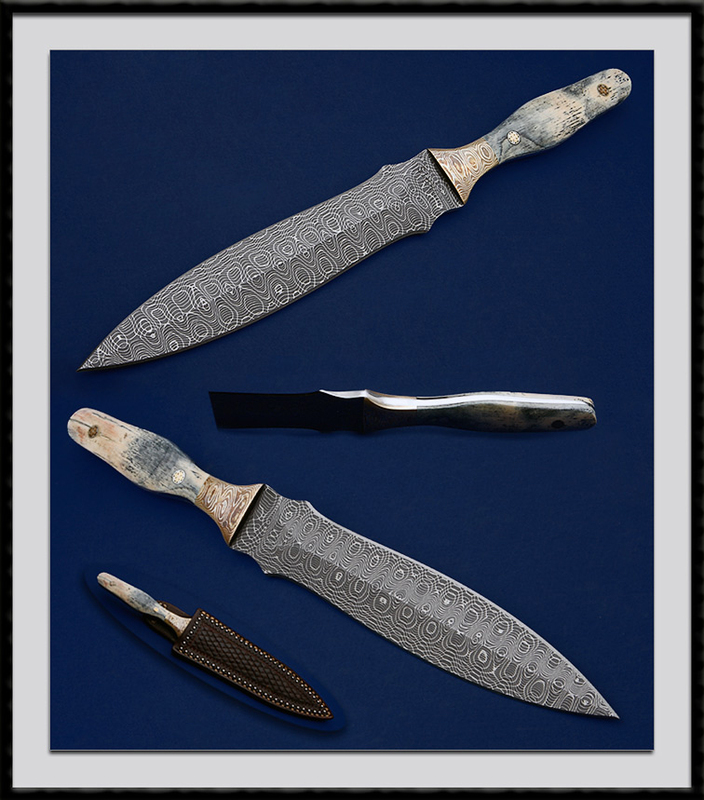 Don Norris crafted this Leap shaped Dagger, BL = 7 1/2", OAL = 12 1/2", Hollow ground Devon Thomas Damascus blade Steel, Tapered tang, Mokume Bolsters and Mammoth Ivory scales accented with 2x Mosaic pins. Condition is Mint. Comes with the custom Leather sheath pictured by Charlie Jackson.